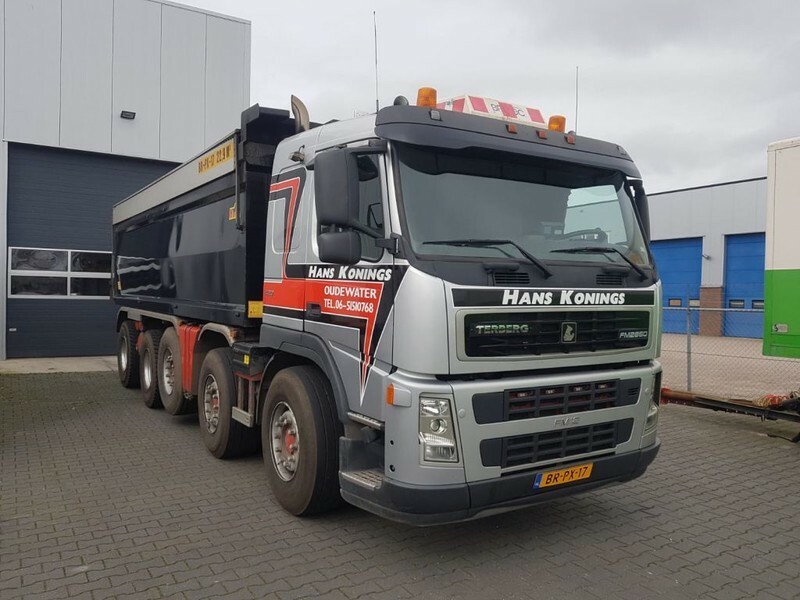 Buy Terberg Fm 2850 10x4 Asfaltkipper tipper by De Bruin Trading B.V. Check the technical data of the unit, picked out from the catalog of TERBERG tipper. The gross weight is 50000 kg. The details on engine output, gearbox and emission class are as follows: displacement: 12130 cc, engine cylinders: 6, 420 hp, gearbox: automatic, transmission: Automatikgetriebe, power take-off, engine brake. Chassis configuration: number of axles: 5, lift axle, steering axles, wheel base: 6900 mm, ABS. Cab design: sunvisor, power windows, electric mirrors, central lock, air conditioner, cruise control, radio, CD.